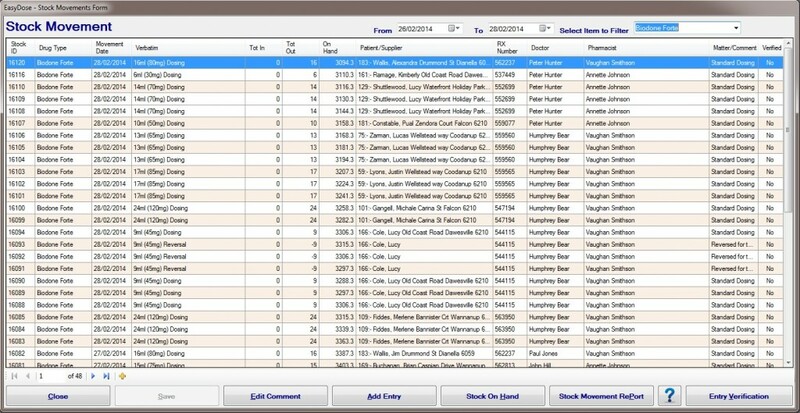 To add or adjust stock (outside of a stock take), entries are initiated from the Stock Movement form. Clicking Add will open the Stock Movement Entry Form, shown below. Note, this form shows the amount of stock on hand which will adjust on the fly as entires are made. 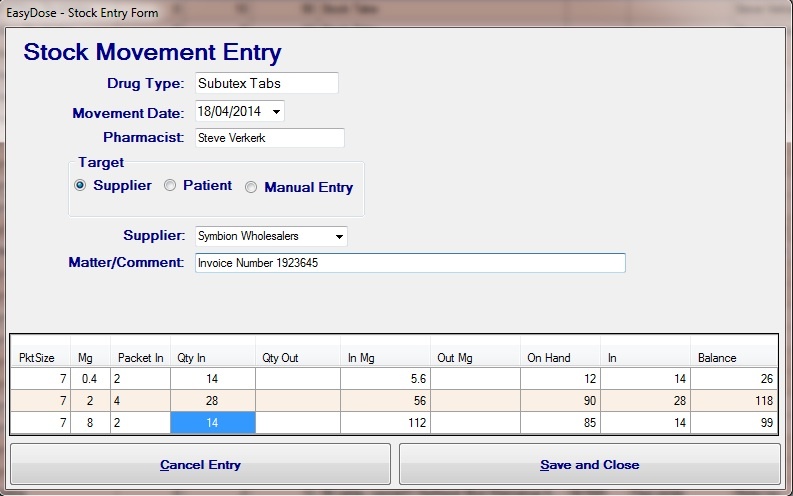 For stock in, entries are made in the Packet In or Qty In column. Once verification is made, the form will close. Where any stock is written of or there is a reduction in stock, verification of such must be recorded by another pharmacist. 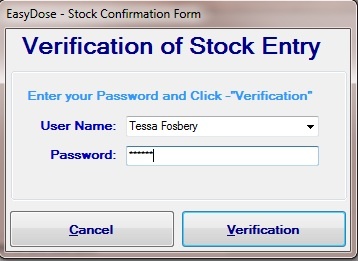 This verification form will open automatically whenever there is a STOCK REDUCTION. 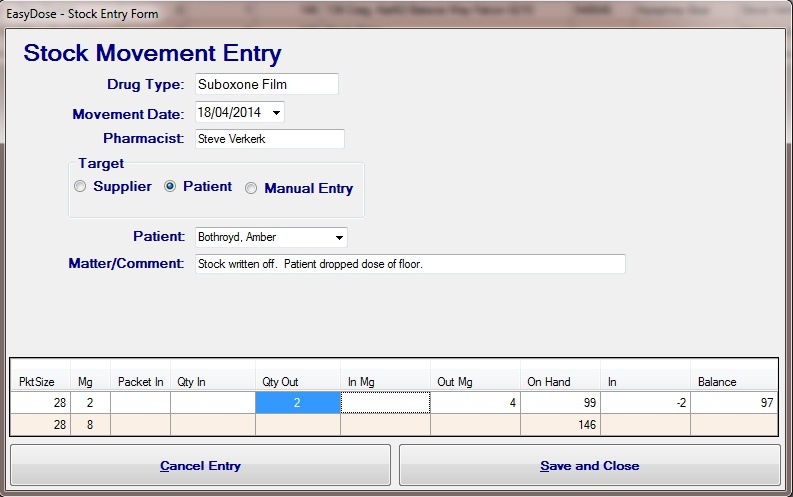 A second pharmacist must enter their name and password to verify the reduction in stock. 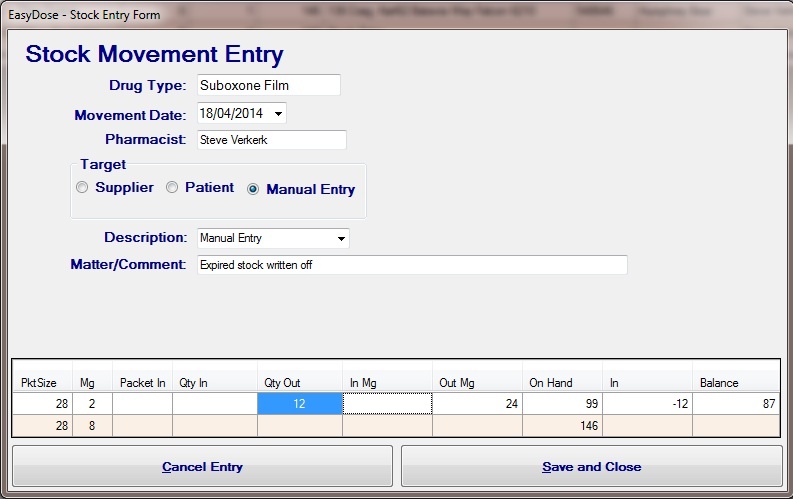 The increase/decrease in stock will be show in the Drug Movement form when the Stock Movement Entry form is closed. The verified entry will have both the name of the Pharmacist who made the entry and the name of the pharmacist who verified the entry. All entries are recorded in the Audit Table.